This section will show you how to create a user with a SIP line. This simple use case covers what a lot of people need to start using a phone. You can use these steps for configuring a phone (e.g a softphone, an Analog-to-Digital switch or a SIP phone). This tutorial doesn’t cover how to automatically provision a supported device. For this, consult the provisionning section. 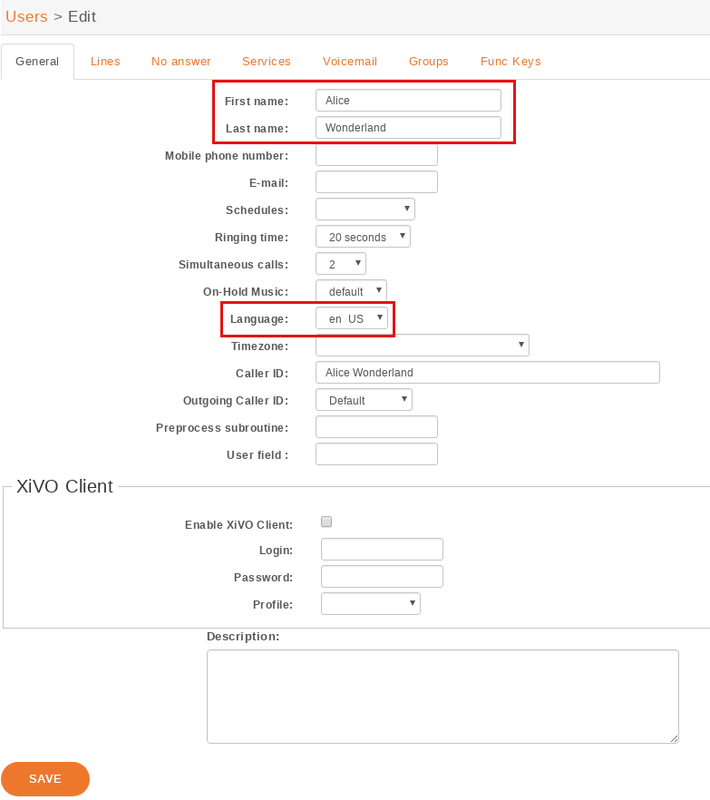 We first need to log into the XiVO web interface. The web interface is where you can administer the whole system. To configure a device for a user, start by navigating to the IPBX menu. Hover over the Services tab, a dropdown menu will appear. 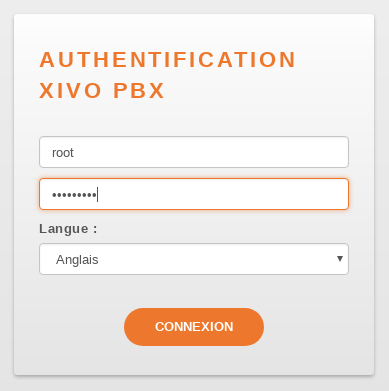 Click on IPBX . Select the Users setting in the left menu. From here, press on the “plus” sign. A pop up will appear where you can click on Add . We now have the form that will allow us to create a new user. The three most important fields are ‘First name’, ‘Last name’ and ‘Language’. Fill in the fields and click on Save at the bottom. For our example, we will create a used called ‘Alice Wonderland’. Afterwards, click on the “Lines” tab. Enter a number for your phone. If you click inside the field, you will see the range of numbers you can use. For our example, we will use ‘1000’. By default, the selected protocol is SIP, which is what we want for now. Click on Save to create the line. We now have a user named ‘Alice Wonderland’ with the phone number ‘1000’. Now we need to go get the SIP username and password to configure our phone. Go back to the IPBX menu on the left, and click on ‘Lines’. You will see a line associated with the user we just created. Click on the pencil icon to edit the line. We can now see the username and password for the SIP line. you can configure your phone using the IP for your server, the username and the password.